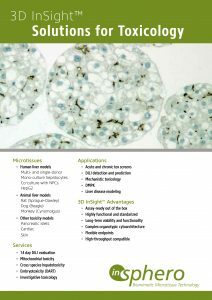 3D InSight™ Liver Microtissues are standardized 3D liver models, produced using primary hepatocytes and non-parenchymal liver cells. 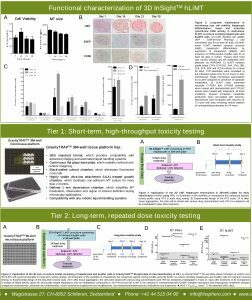 These advanced, pharma-validated liver models accurately reflect the structure and biology of in vivo liver, delivering greater confidence in decision-making based on in vitro cell-based assays for liver injury and drug efficacy testing. 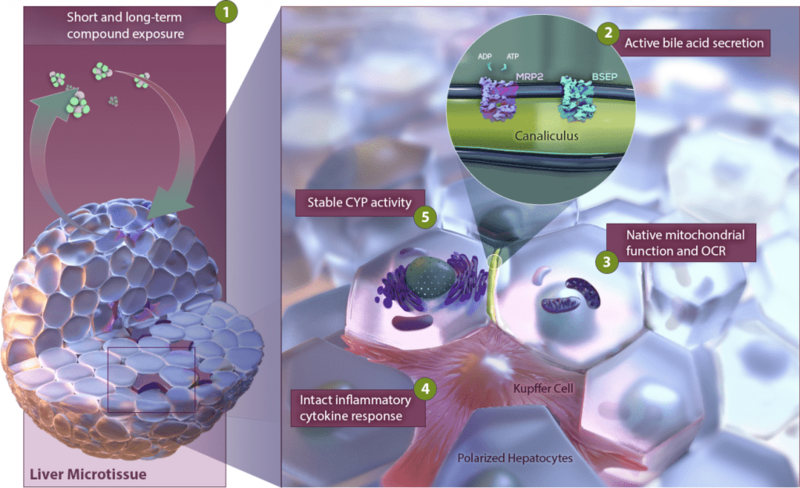 Our liver microtissues are comprised of primary human or animal hepatocytes and non-parenchymal liver cell types, such as Kupffer cells and liver endothelial cells, resulting in native-tissue-like functionality. They exhibit albumin secretion, polarized cellular organization, robust cytochrome P450 activity, high mitochondrial function, and bile-acid transport to the bile canaliculi, and into the surrounding media. This long-lived model improves sensitivity for DILI prediction by enabling long-term drug exposure and by including a physiologically relevant ratio of primary hepatocytes to non-parenchymal cells. 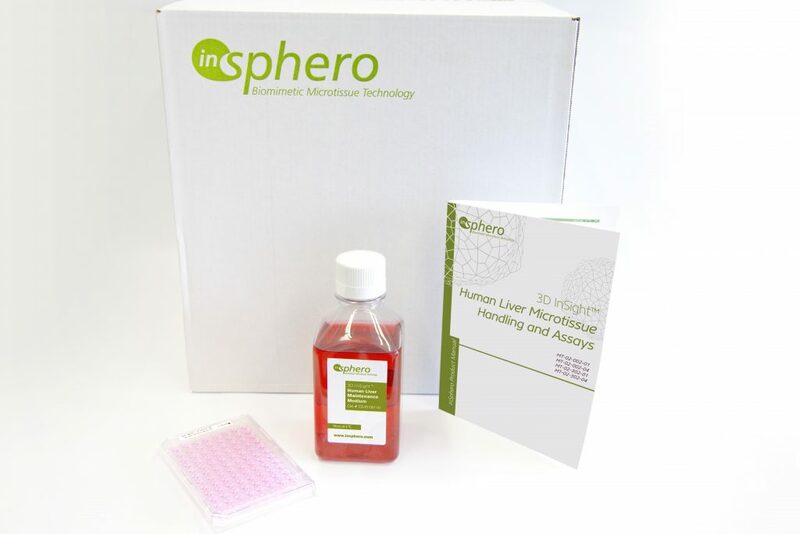 Liver microtissues prepared from primary human hepatocytes (monoculture or co-culture with Kupffer cells and liver endothelial cells options available), produced biweekly. 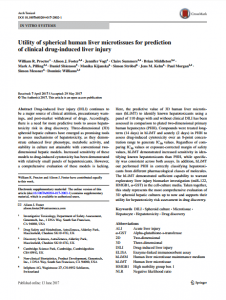 Custom animal liver microtissues prepared from monkey, dog or rat primary hepatocytes (monoculture or co-culture with species-specific NPCs options available), produced on request. Debating whether to make or buy your liver microtissues? Read this first. 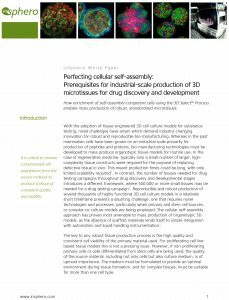 Perfecting cellular self-assembly: Prerequisites for industrial-scale production of 3D microtissues for drug discovery and development. confidence in safety testing of your drugs.